Arranging a season for an unruly young lady whose habit is to enter drawing rooms by sliding down banisters presents a challenge at best - especially since the hoydenish Mira has a sister of incomparable grace and beauty. Mira isn’t at all daunted by the local society and its ridiculous marriage mart. Her heart belongs to Lord Charles, who has been the object of her dreams ever since she was a child. But alas, Charles has eyes only for her ever-perfect sister, Drusilla. Lady Jane Lovelace has conceived the idea of approaching the most notorious man-about-town, Lord Charles Welbourne, with a most unique proposition. When he counters her offer with a condition that he thinks will halt her impudence, much to the surprise of both, she accepts. 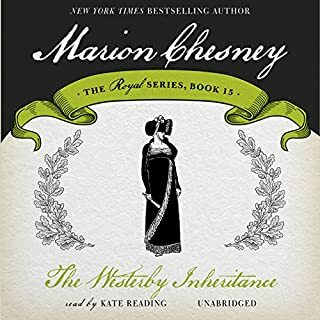 A novel of passion and intrigue, The Westerby Inheritance is a thrilling installment in an emotionally charged romantic saga, all played out against a backdrop of elegant 18th-century society. When Amy and Effy Tribble, two charming but impoverished spinster sisters, lose out on a much needed inheritance, they place an advertisement in The Morning Post and hire themselves out as professional chaperones. 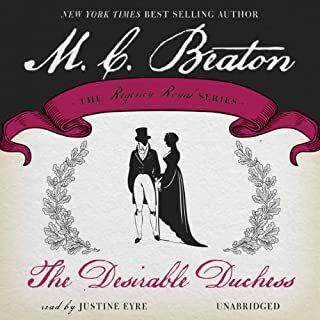 Vowing to prepare even the most difficult misses for marriage, the Tribble sisters will spend a London season on each client in this delightful Regency series, The School for Manners. Felicity Baronsheath, their first assignment, turns out to be more of a challenge than they ever imagined. It was true. The lovely young widow Lady Charteris - Delphine to her friends - had agreed to abide by her parents' wishes and marry the Comte Saint-Pierre. Delphine's parents had long since died in the Terror, but when she learned of their wishes for her, she believed it her duty to respect their wishes. Delphine would marry, but it would be a marriage in name only. But when Delphine saw Jules Saint-Pierre, she got the shock of her life: he was the same man she had seen juggling in the streets at a local fair. Lovely Alice Lacey was a true incomparable, and her marriage to the Duke of Ferrant was the event of the season. 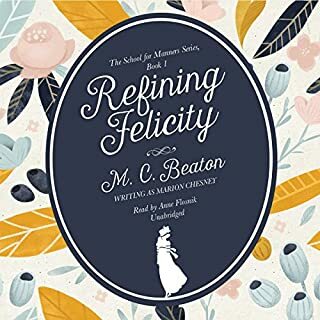 Almost no one realized, however, that Alice was secretly in love with someone else - or that she had confided her feelings to a clever talking mynah bird who announces these intimacies at the moment of the couple's wedding. Now the gossip mongers are relentless. Alice's marriage started out, and has remained, cold and impersonal, and her new husband is already rumored to be taken with another woman. 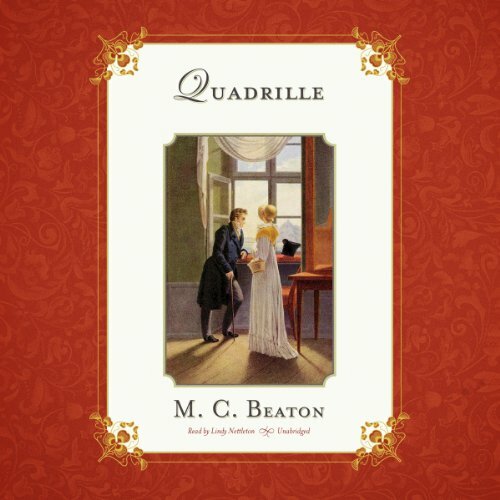 Love and jealousy abound in this playful romance, set during the British Regency. Everyone in the ton knew that Lord Hubert Challenge had married country mouse Mary Tyre for her dowry, but no one had yet guessed that Mary had actually fallen in love with her husband! And she was willing to try anything - sumptuous clothes, a saucy manner, even flirting with another man - to get her handsome husband's attention…until she learned that two could play at that particular game. I have liked the other stories in the series, but I did not find the characters likable enough to care about in this one. 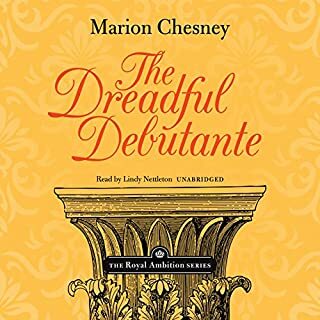 I've almost read all of Chesneys regency period novels I have about ten more to go. This one was just terrible! 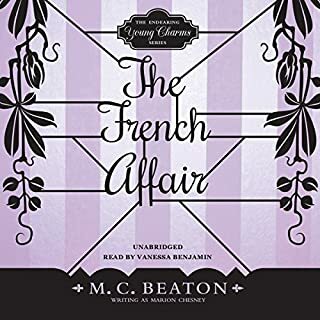 MC Beaton's regency stories are usually peopled with less likable characters and contain more abusive situations than is typical of the genre, but usually there is some change and redemption by the end of the book. There are NO sympathetic characters in this book nor do they ever become likable. In fact, I grew to dislike them more as the story went along. One distasteful aspect of some Beaton stories is violence to women. This book has both casual and deliberate violence toward women. 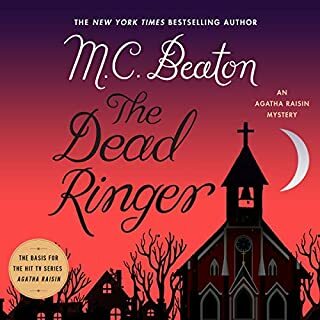 Because I'd not previously encountered a Beaton book this awful, I continued to listen to the end hoping for better, but I was heartily sick of both main characters and the book itself by the time I got to the end. I got so annoyed with parts of this book that I noticed I was just grumpier in general until I finished it. As usual Nettleton was a great, but I struggled with dislike of Challenge throughout the entire book. Just not for me. Tally ho! This author is the best. Fun, predictable and humorous. I love all her stories.